Hebeish for Engineering Works, a subsidiary of Hebeish Group is the sole agent for PRINZ, plastic saws in Egypt. 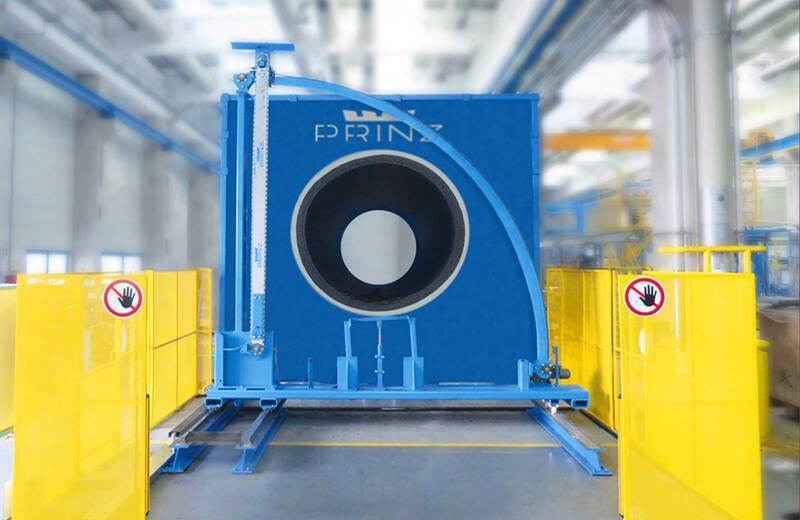 PRINZ is one of the leading Austrian manufacturers offering a wide range of plastic saws. 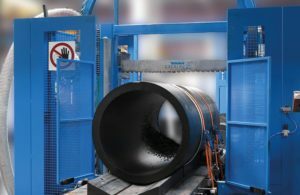 PRINZ mobile saws are especially suited for cutting plastic pipes and other formed parts. They are mobile and ready for use anywhere due to their compact construction. The cutting equipment is guided by two stabilizers working separately ensuring a smooth cutting finish also at high cutting performance. There is a second enabling switch that guarantees maximum safety. 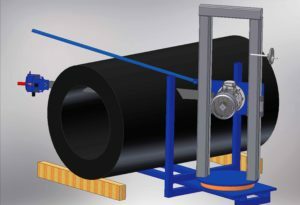 For pipe diameters up to 1.000 mm* it is recommended to use the 7,5 kW-model and for larger diameters the version with 11 kW. 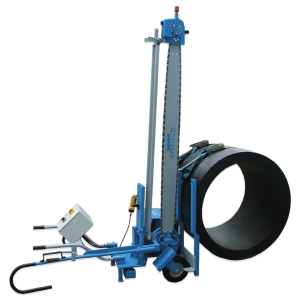 * All details depend on the given inner and outer diameter of pipes and on the sort of plastic. The mobile mitre saw of PRINZ allows miter cuts of pipes and rods up to 45°. Its construction is adjusted to the customer’s needs and therefore suitable for the application in the production as well as directly on the building site. There is a hand wheel that makes the cutting guide easy and precise. A torsion-resistant stabilizer ensures the precise guiding of the cutting equipment. A second enabling switch guarantees maximum safety. For the production area PRINZ offers stationary cutting units with those high-precision cutting at high processing times is easily possible. PRINZ takes advantage of a decade-long experience in building precise cutting systems, extending their development and elaboration of the saws for cutting plastic. 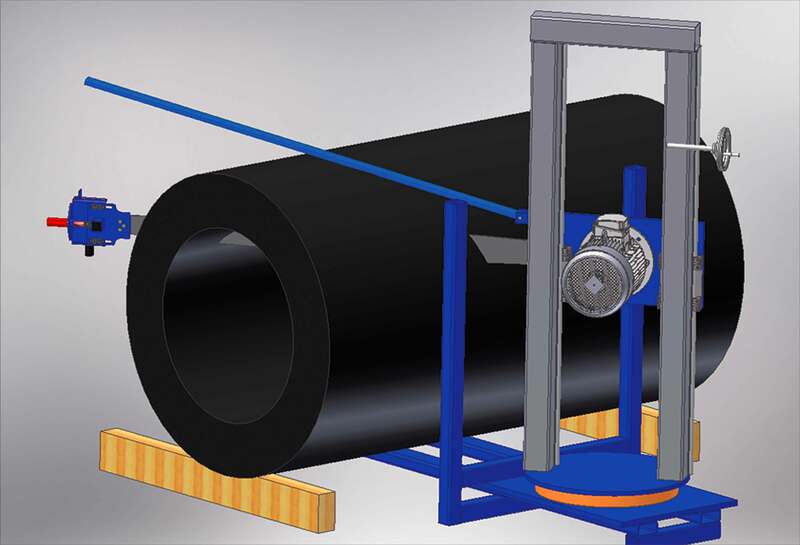 As stand-alone solutions, they are working independently from existing production plants.